We’ve made it to the end! 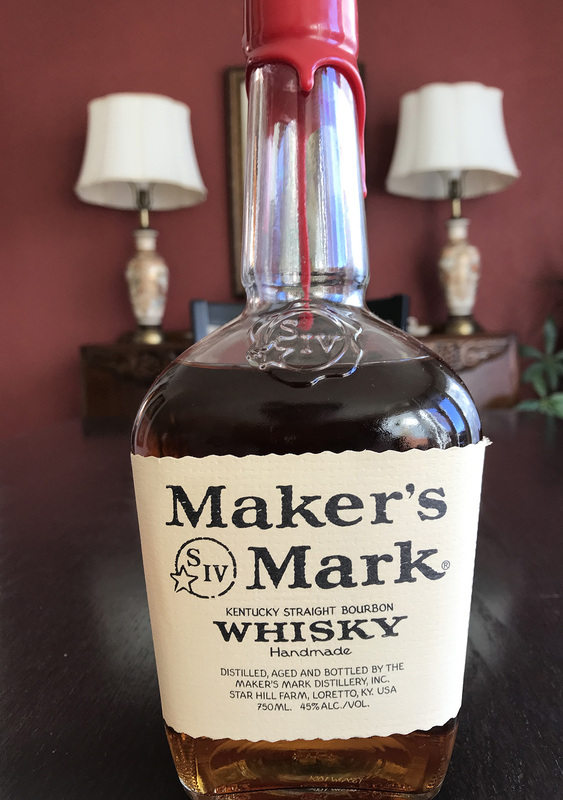 The final installment in “Attack of Cheap Whiskies.” The most expensive of the bunch finds us at Maker’s Mark, which I purchased locally at a mere penny below my maximum purchasing price of $20. First thing you need to understand about Maker’s Mark is that it’s wheated. This means that they have not used rye in the mashbill and have instead used wheat. Now, when most companies switch from rye to wheat, they actually increase the corn content from 51~55% to somewhere closer to 65~70%. And that’s no exception here. Folks like to think the wheat makes it sweeter… it does not. The higher corn content does. The wheat makes it smoother and lack of rye takes away any pepper bite. Why they dropped the “e” in whisky is a mystery I’ve chosen not to investigate. It’s American, not Scottish nor Japanese, so I’m calling it whiskey. As the most readily available wheated whiskey, Maker’s Mark is smooth and sweet, but not complex. Even though it’s the most expensive of the five whiskies I’ve sampled for Attack of the Cheap Whiskies, I didn’t have high expectations. Because of that, I wasn’t let down. …Which is caramel kettle corn. The barrel notes of vanilla and toasted nut seem a bit muted to me here. But I do appreciate the mild splash of citrus. The finish is short and sweet. Kettle corn sticks to the tip of the tongue. And sadly, I found the mouthfeel a bit watery. I appreciate the higher proof in Maker’s Mark. Normally, that’s a good indicator that the whiskey is an excellent candidate for mixing. But if you’re looking to make a cocktail out of this stuff, think the Chapel Hill, the Devereaux, or the Whiskey Sour. I just don’t see it holding its own in much else. Will I be poisoning my body with more Maker’s Mark? Probably. Would I recommend that you buy it? Maybe.